Welcome to Flatpicking Guitar Magazine’s free lesson portion of our monthly newsletter. This month I’m presenting a simple arrangement of the old-time tune “March Across Georgia.” I was recently hired to play for a show that had a Civil War theme. The other members of the group I was performing with brought in a number of great Civil War era tunes. This was one of them that I had never played before, but I really enjoyed learning this melody for the show. 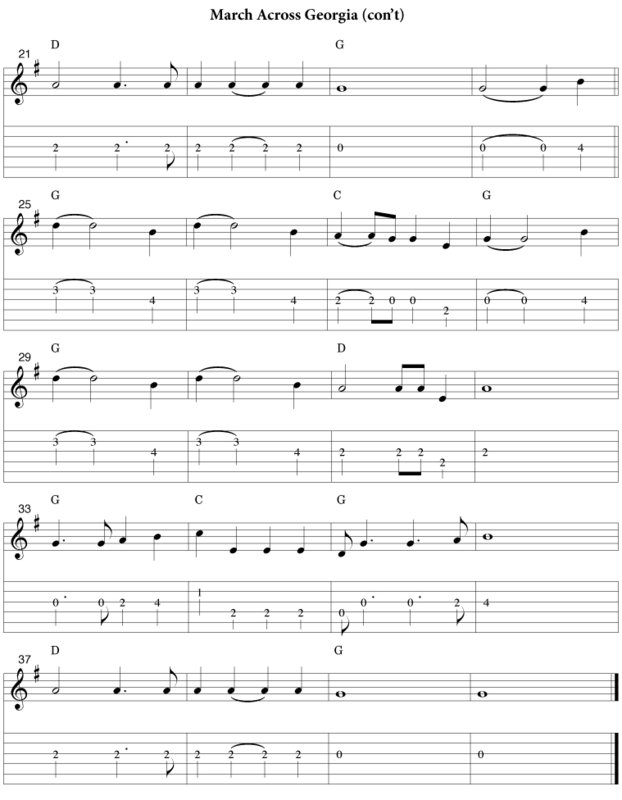 It is a tune that we’ve never featured in Flatpicking Guitar Magazine, so I thought it would be nice to add it to our list of free monthly lesson tunes. This is a very simple arrangement of the melody. The only tricky part to this tune is the timing. 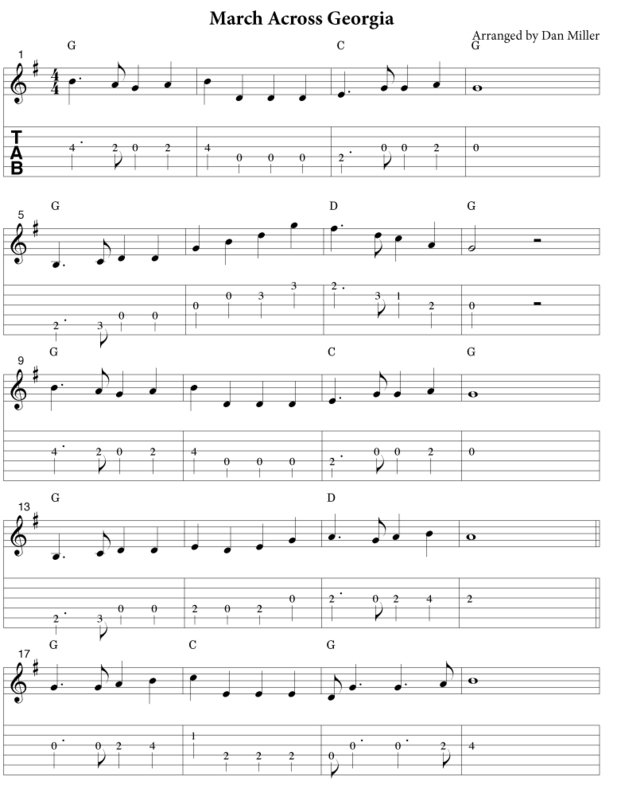 Pay attention to timing of the dotted notes and you shouldn’t have any problem learning this great tune. Enjoy!